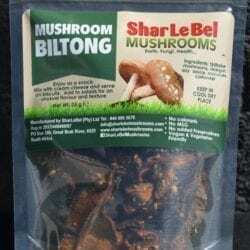 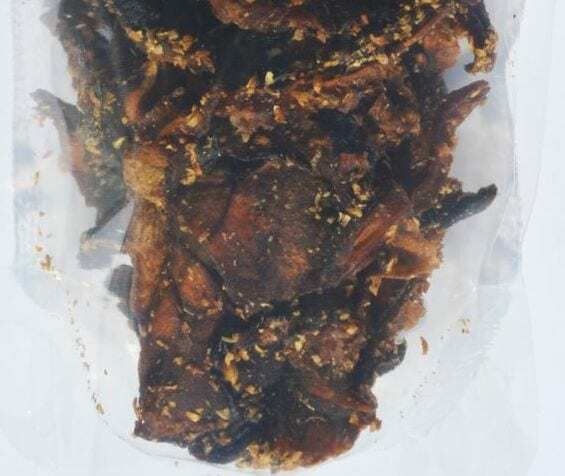 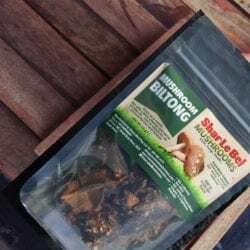 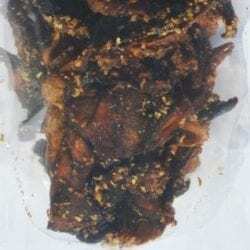 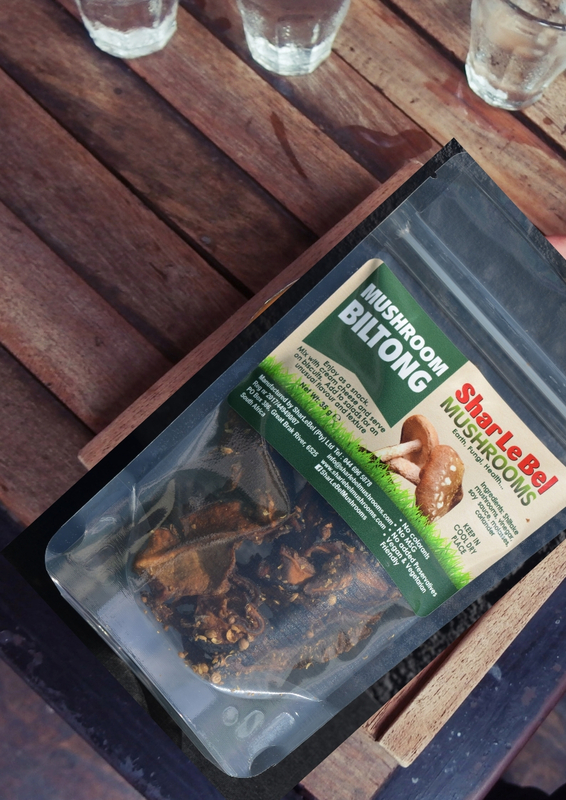 Mushroom biltong made from the healthy Shiitake mushroom. 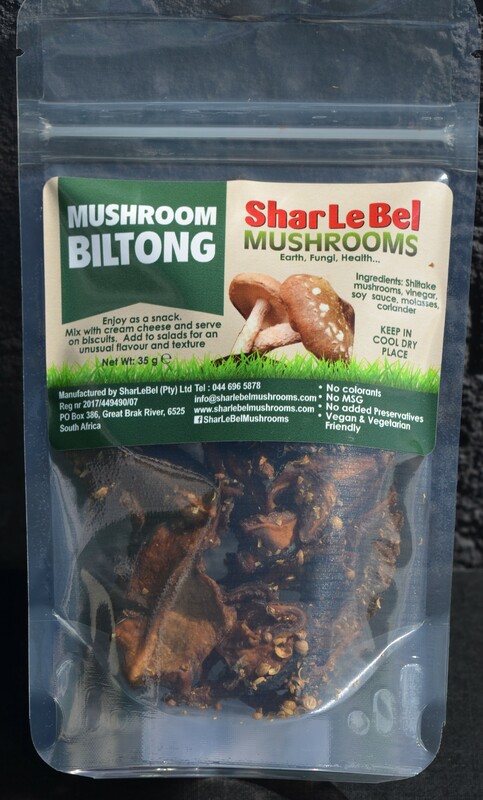 Taste like the real thing! 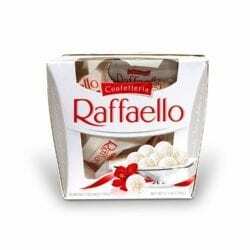 Mix with cream cheese and eat with biscuits.